Welcome back Ghost, glad you decided to come back to the forum. It's good that we can understand each other. The thing is, people only criticize the government in China and government policy. No one dares to criticize the people or culture as being too robotic or soulless. No one dares to say that for some reason. It's taboo. It's as if you are expected to claim that the common people are all good and innocent and only governments are bad. I'm glad someone else sees what I see, so that I am not insane. "Do I lack the connection because I am a white guy in a deeply insular East Asian country that could never truly be a home for a foreigner?" The thing is I do like many things in China such as the food and cheap transportation. It's very tolerable and livable. And some girls are friendly. But there's no deeper connection and it seems like everyone is only interested in working and being a slave and giving away their lives to the system. There's no individual consciousness. Btw check out my new thread about organic portals. I think you will relate to it. One more thing. Besides not fitting in with China in terms of our souls, you also gotta consider that we are considered chubby and fat by Chinese standards. 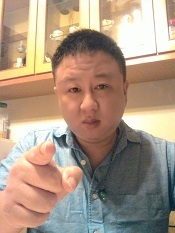 And I heard that Asian women don't like fat guys. They don't mind ugly guys but they draw the line when it comes to being fat. So in theory, if we were thin, the women in Asia would probably treat us a lot better right? Then our experience would be better. Also our friends Ethan_sg and zboy1 have good girlfriends in China. So the HA solution is not dead. It's just that women are becoming more and more corrupted. But HA still exists. And like I said before, different guys attract different experiences and women. Some men attract gems and good girls, and some don't. So we are not all the same either. A good woman is not gonna like all guys equally or be a good wife to all men equally. Your unique combination of traits attract different people and experiences than others. What this means is that one guy's experience isn't going to represent everyone's experience. Thus if HA is fading for one guy that doesn't mean it's fading for everyone. Don't you agree? Last edited by Ghost on November 30th, 2018, 4:07 am, edited 1 time in total. So Ghost, what was your home country? OK, you find China a hard place to live. Where would you live if money if you could chose the place? What country do you like the people and want to live there? Do you mind if I post the joke at the beginning of your book Ghost? Also, maybe you can consider posting the first intro chapter here, it might incite people to read the rest of the book and buy it. What do you think? Btw what does "Ragnarok" mean? 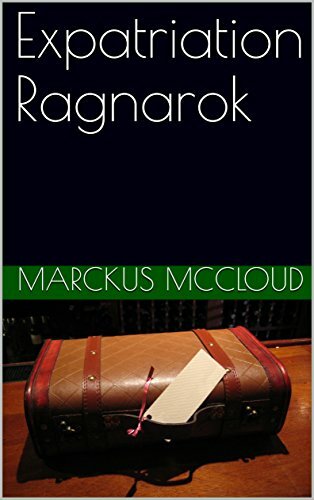 Here's the link and info about the book "Expatriation Ragnarok". Last edited by Ghost on November 30th, 2018, 4:08 am, edited 1 time in total. I read back in the early 2000's where it was stated David Rockefeller was quoted as saying they had what they were looking for in China when they gave the country favorite trade partner status with America in 1999. That pretty much tells you what you need to know, yes the HIVE mentality and that is what the elite want. Last edited by Ghost on November 30th, 2018, 4:17 am, edited 1 time in total. The thing about this is that what created this situation was the winning of the last 2 world wars and us using the world reserve currency to loot everybody. Last edited by Ghost on November 30th, 2018, 4:18 am, edited 1 time in total. Yaa, we just a tool to meet their goals, have you seen the Star Trek with Landru ? it almost seems as though they have plans for a world based on a system built similar ?